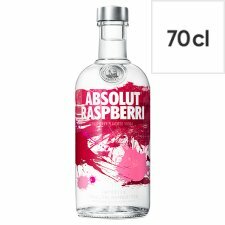 Absolut Raspberri's rich and intense flavour comes from ripened raspberries harvested in the Swedish hillsides. Its fresh and fruity character mixes well with a wide range of fruit juices and mixers. Try with cranberry juice and a squeeze of lime. Absolut Vodka has been produced at the famous old distilleries near Ahus in accordance with more than 400 years of Swedish tradition. Unlike some other vodkas and spirits it contains no added sugar which makes it perfect for mixing. 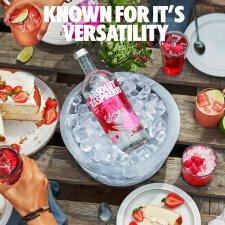 Absolut Raspberry Roller 1 Part Absolut Raspberri 3 Parts Cranberry Juice 1 Lime Wedge Lemonade dash Fill a highball glass with ice cubes. Add all ingredients. Garnish with Lime wedge.